When we load resources from other websites, we trust those sites to deliver something safe. Use subresource integrity to ensure authenticity. I indent with tabs. There, I said it. Viewing my code (and that of other tab indenters) on GitHub, Gist, or Bitbucket can be annoying because the default tab size in the browser is equivalent to 8 spaces. Modern browsers let you change that through CSS, and here’s some bookmarklets that do just that. Session storage is a very handy tool for caching content fragments retrieved via AJAX. Once we’ve pulled the content once, and stuffed it into session storage, we can access it again quickly without the overhead of a round trip to the server. But what if we want to limit the age of that content, so that it expires before it gets too stale? A common problem with input forms is that users get impatient and click the submit button twice. This can lead to double (or triple, or quadruple!) form submissions, which can really mess things up (especially if you’ve added a billing step to your form!) 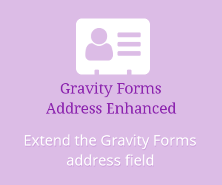 Stopping it can be surprisingly complex, but here’s a simple piece of browser script that will prevent most users from making multiple submissions with Gravity Forms. Customisation of web software sometimes requires that you get it to pass around some additional information whenever it makes a page request. Often, putting that information into a cookie isn’t appropriate, so you try to squeeze it into the page query parameters, or form post data through hidden fields. But what if the software makes AJAX requests from jQuery? Luckily, jQuery can help you intercept AJAX requests so that you can customise them too. The Opera browser persistently refuses to honour “return false” in an onclick handler, and is quite possibly the only web browser that does this. Because I don’t usually add event handlers inline any more, I haven’t noticed this defect until now, but it just bit me today. I just went searching for a nice, simple example of populating a form from a database, using AJAX and JSON. I hope it’s just that my Google juice is depleted after a hard week, but I couldn’t easily find one. So I wrote one. I just stared in horror wonder at the wp-e-commerce script that handles cart updates. Wow. Just… wow. Forget any thought of nicely hooking into that to add some extra client-side actions, it’s a mess and looks like it will probably get worse before it gets better. But fortunately, there is another way. CSS drop-down menus are very popular on sites with a hierarchy of pages. They let you get to where you want to go without having to navigate the pages in that hierarchy. But pure-CSS menus suffer a problem: touch devices often can’t show the drop-down, because they don’t have “hover” and clicking on the top level link goes there. This snippet offers a way around that.